After the complexity of the Shur’tugal Socks, a simple pair of socks seemed like just the thing for purse knitting. The pattern shouldn’t take a year to knit not should it get left behind for something less complicated. Before it got too big, the Amiga Sweater and all of its stockinette was fine purse knitting but it’s time to get back to socks. I spent way too much time trying to find the perfect simple but not boring pattern before picking the Business Casual Socks. The pattern seemed easy enough to mod for toe-up knitting and into knee highs. Unfortunately, the tiny cables kept getting lost in the different colors. Next I tried variations of ribbing but nothing lived up to my expectations. Eventually, I stopped fighting the simplicity and went with the plain jane stockinette that looked so awesome in the toe. The colors are wild and interesting enough to keep me from getting too bored. Plus, stockinette socks are great tv knitting since you don’t have to look at them when you’re not turning a heel or increasing a gusset. It’s not just the colors that are making these socks such a pleasure to knit. The yarn, Koigu KPPM, has great bounce and softness. I don’t have to use my smallest size 0 needles to get a nice, squishy fabric either. If this pair goes well, my stash is going to have a lot more Koigu in it. Hi! My name is April Klich. I write about knitting, spinning, and straight up making with a focus on playing and finding joy in the process. 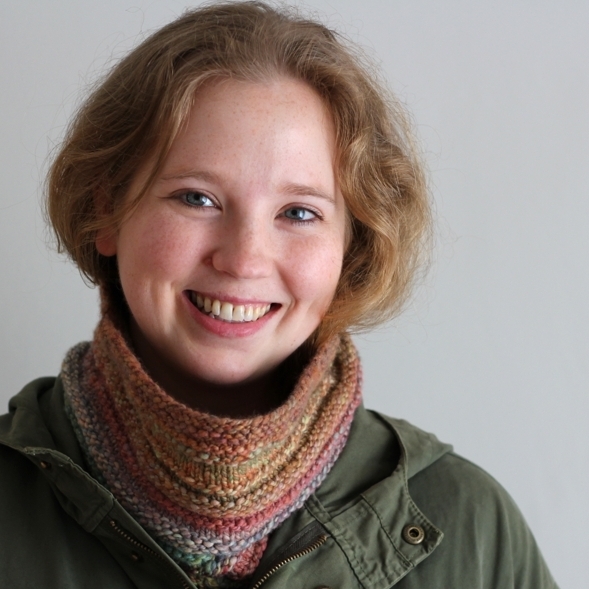 Come say hello on Ravelry! If you have enjoyed this blog, tutorials, or knitting patterns, you support me on Ko-fi! Want to know about new posts, pattern releases, tutorials, and Wooly Linksfrom around the web? Sign up, and you’ll also get a free copy of the Windbreaker hat pattern. Copyright © 2016 April Klich. All rights Reserved.